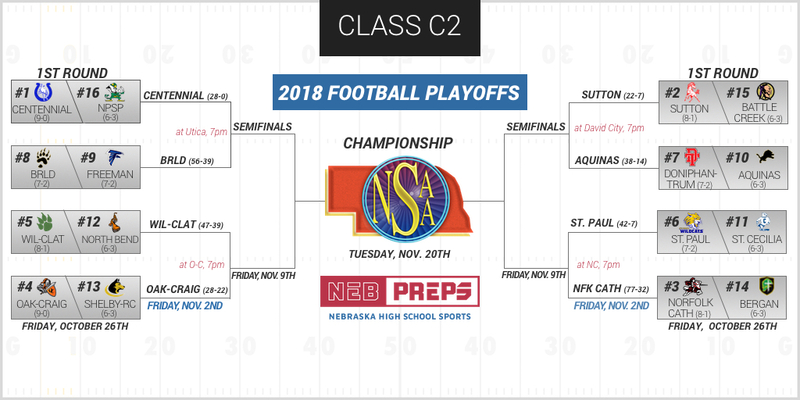 You’ve come to the right spot if you are looking for every ounce of information possible about the NSAA Class C-2 football playoffs. Below you will find the bracket, links to all radio broadcasts as well as TV broadcasts and Internet streams. You will also get every score, every recap and EVERY bit of coverage that exists across the state all in one place.